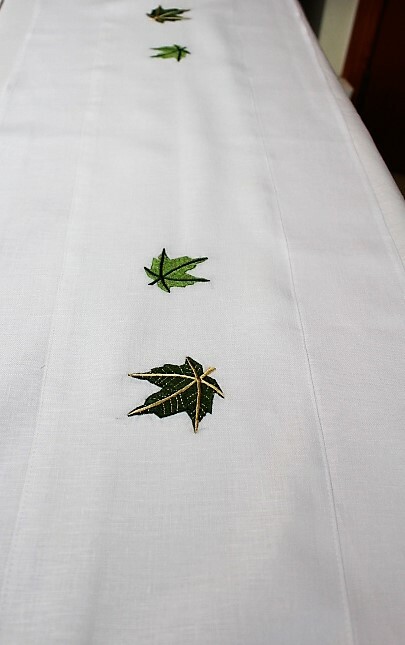 Maple leaves are beautiful at any time of the year so why not enjoy them in your home. 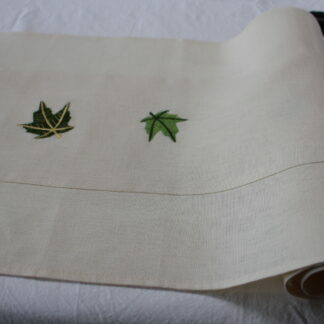 Maple trees are valued for their delicate foliage and beautiful display. 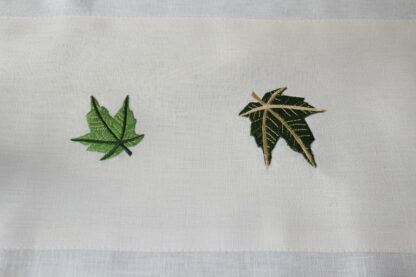 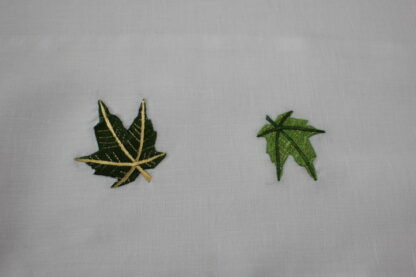 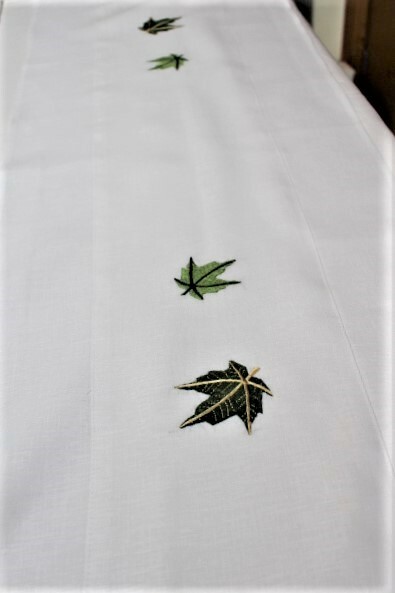 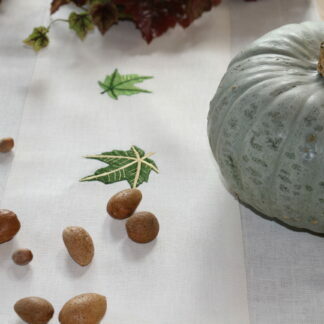 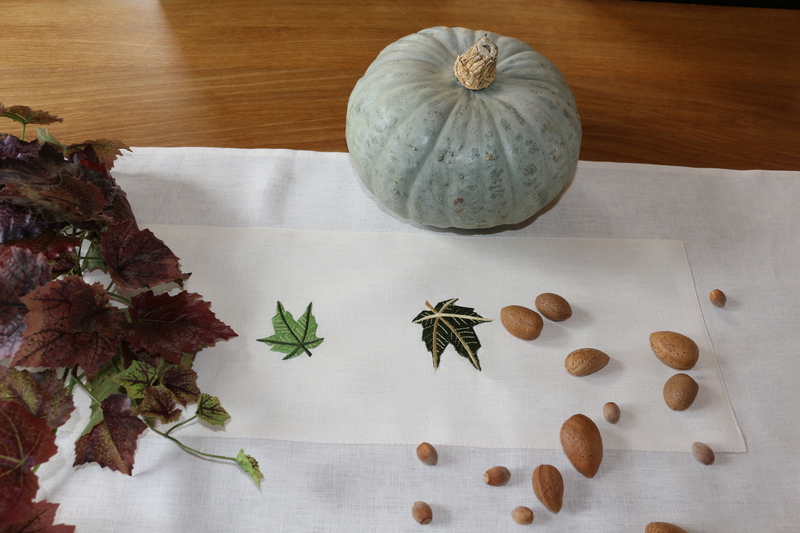 Here we have used pure crisp white onto which we have embroidered beautiful green and gold maple leaves. 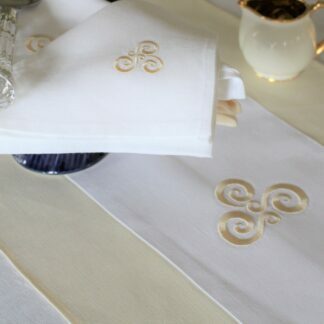 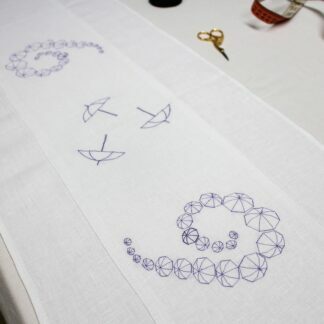 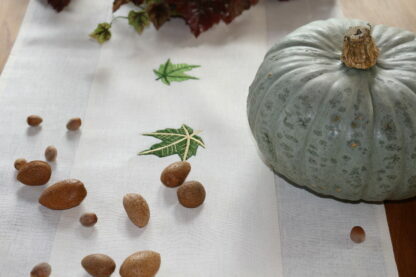 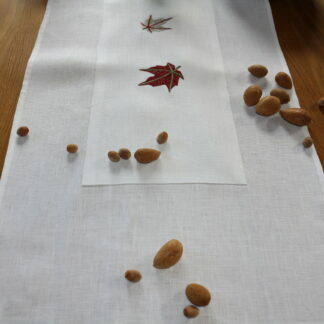 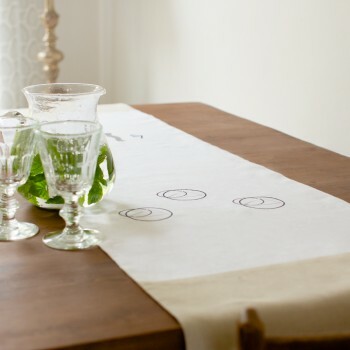 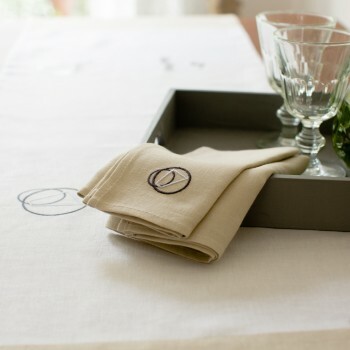 I love the freshness of this table runner which works with every interior. 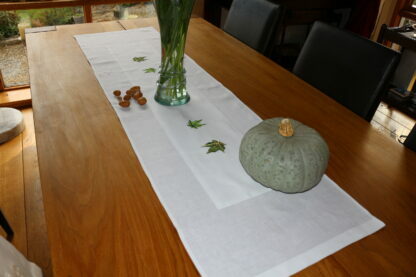 I love to dress my dining room table with this green and white table runner and admire and love it every time I walk in . 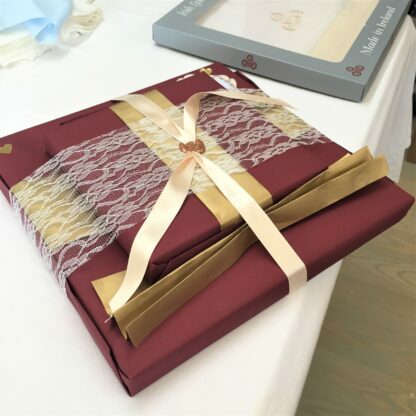 Boxed and gift wrapped for you.